Nick Ingman's the arranger on Close Encounters – and helps give the record a disco vibe that's quite different than the usual sci fi set – a groove that clearly stems from Ingman's great sound library work of the 70s – touched here with plenty of clubby rhythms and some especially great keyboards at times. 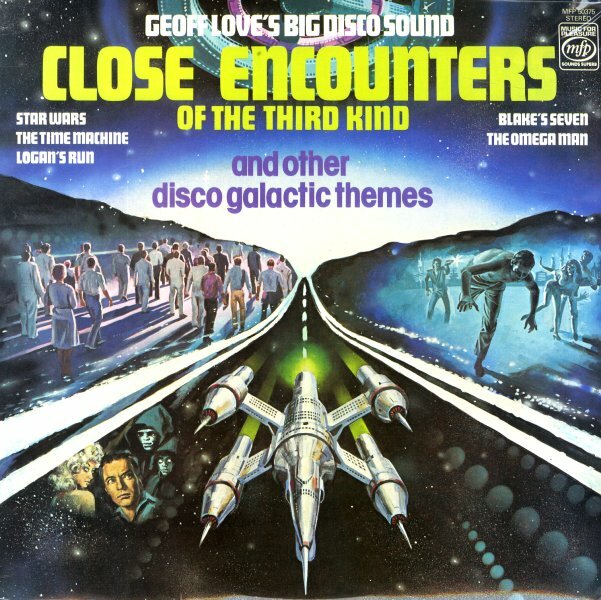 The whole thing's funkier than you might expect – and titles include "Close Encounters", "Flight Fantastic", "Space Patrol", "Solar Sailor", "The Omega Man", "Star Wars", "Time Machine", and "Blake's 7". © 1996-2019, Dusty Groove, Inc.